The DC Breeze split their Canadian doubleheader this past weekend, falling to the Toronto Rush Saturday night and defeating the Ottawa Outlaws on Sunday afternoon. Toronto (11-1) defeated DC (6-5-1) 28-21 Saturday as Hugh Knapp led the Rush with six goals handing the Breeze the second loss in Toronto this season. DC took down the Rush at home in their previous meeting on June 9. The Breeze have still not earned a win in Toronto in franchise history. Delrico Johnson led the Breeze with seven goals in the loss with a perfect catching percentage (27-for-27). He also added one assist on the day for DC. Ryan Swift led the Breeze with four assists and added one goal for DC. The Breeze were without MVP candidate Matthew “Rowan” McDonnell for the road trip. McDonnell led DC in assists in their only victory against the Rush this season, when he recorded eight in their matchup in the District June 9. After the Saturday loss, the Breeze traveled to Ottawa to take on the Outlaws in “The Battle of the Capitals” Sunday afternoon. DC brought the trophy home once again as they defeated Ottawa 30-29 in the Canadian capital. Christian Boxley led the Breeze with a career-high seven goals scored in the victory for the Breeze. The rookie also had a perfect passing percentage (6-for-6) against Ottawa. Matt Kerrigan led DC with eight assists and a perfect completion percentage (24-for-24). He also tallied one goal for the Breeze Sunday. 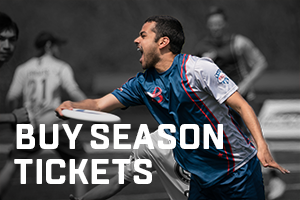 DC moved itself back into the playoff picture with Sunday’s victory, as they are tied for second in the AUDL East with the Montreal Royal (6-5). Montreal holds the tiebreaker having defeated the Breeze twice this season. However, that is unlikely to take effect given DC’s rare tie this season in the storm-shortened affair in Philadelphia April 28. The Breeze have a crucial final two games on tap as they host both the Philadelphia Phoenix (5-5) this week and New York Empire (4-5) later in July. Both breathing down the neck of DC for the final playoff spot in the East.